Redo had the most liked content! I feel like the focus being different is just an excuse for bad mastering (no hate on the music, just the mastering). I mean Koxbox's mastering from 1997 sounds better than most of the neo goa coming out today. Listen to E-Mantra, Portamento, or Unknownium, they also create a wall of sound and manage to sound modern. @Penzoline I think these issues can be fixed with having a wider reference library. 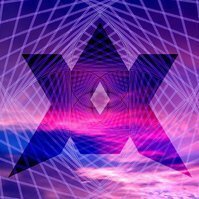 Artists need to be open to other genres other than goa trance so they can learn different things and bring them to the table with their music. I wouldn't call the mastering bad, it's just different. I don't feel fatigued or distracted listening to this, this is nothing like Filteria's mastering, which was just annoying. Honestly, even though people don't like the mastering, I have to give props to the artist for trying a more different and modern approach. New school goa sounds like trash compared to psytrance production wise. Can't speak for the music yet. Glad to hear. If you want more Yakuza after you finish Zero, try Yakuza Kiwami 2, its considered one of the best in the series. Yes, although they aren't that similar. Give it a shot. The story is really good, side missions are hilarious, and you get to beat up 5 year old kids in hot wheels style racing. Crying? Please, everyone knows 3D girls are overrated, 2D girls are way better. What about downtempo and suomi? Yes. If you listen to psytrance you get AIDS. Damn, RIP. Without The Prodigy, I would have never discovered psytrance. I still listen to some of their songs from time to time. Yea I gotta agree. Just listened to most of the album and nothing was above average. Even the Grey-scale side wasn't deep enough. Nice, hope we get an Unknown Cause album. Making an album on a phone? You really are a maniac.